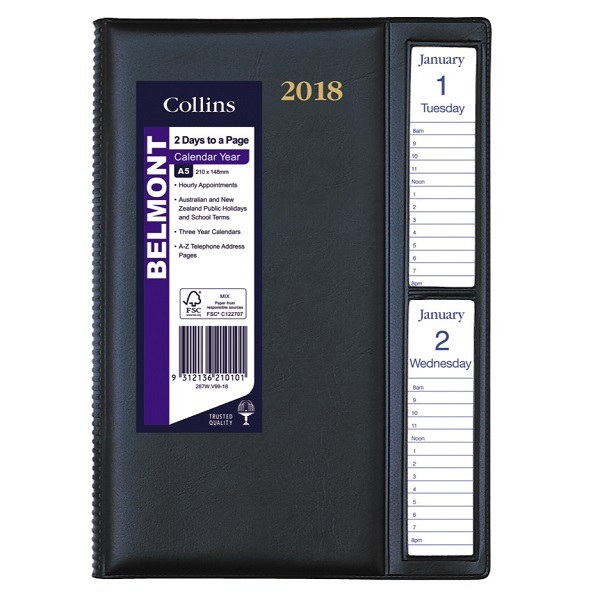 The New Belmont diary series is bound in a highly durable, welded, PVC padded cover and is available in a professional black colour. 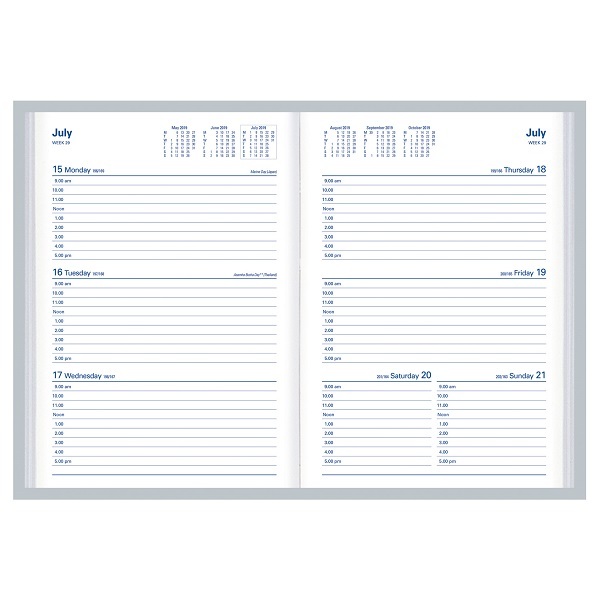 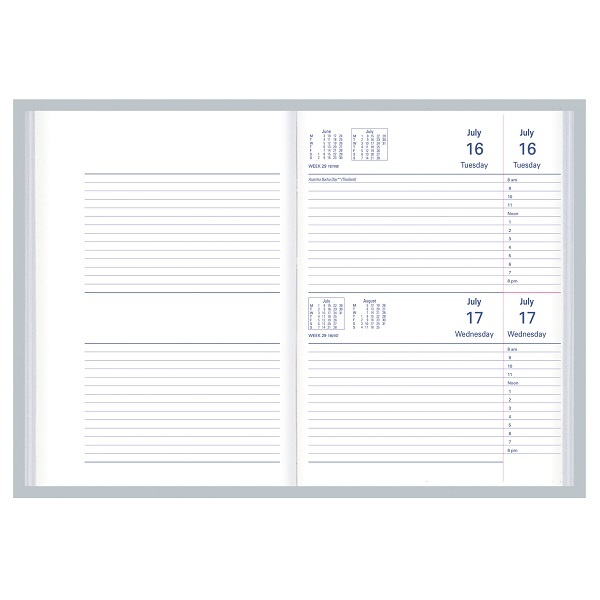 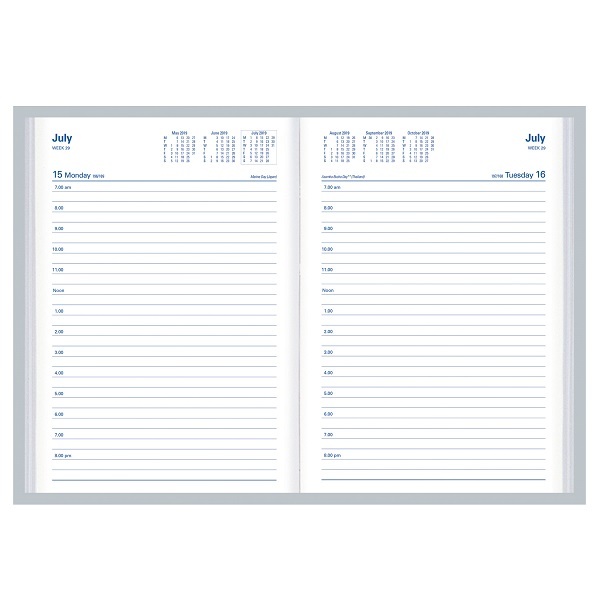 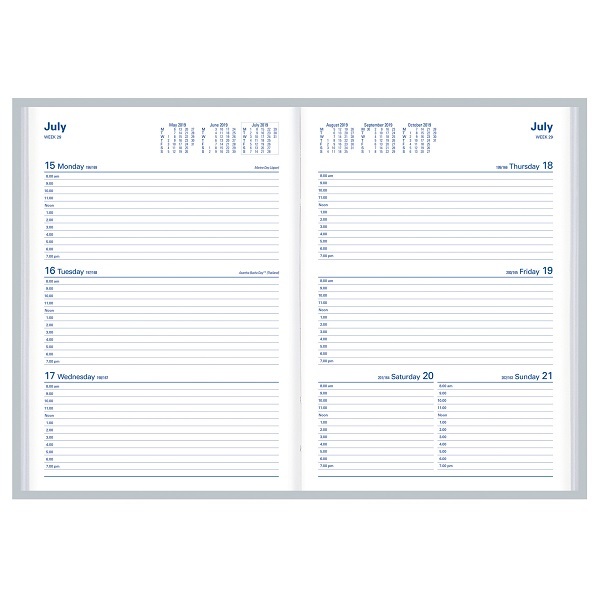 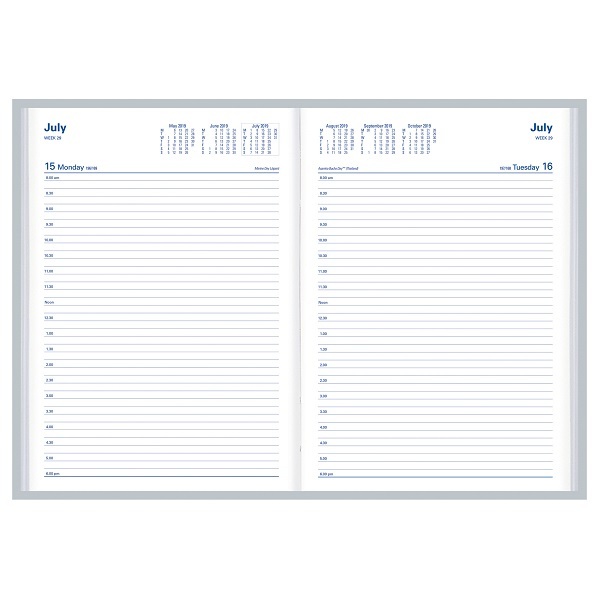 Printed on white paper, the series includes such features as appointment times, a six-month to opening calandar on each dated page layout, week numbers, Julian days, Australian and International holidays, three-year calendars, staff leave planner and 16 pages of information, including conversion tables, International dialling and time zones, paper sizes, as well as a marker ribbon. 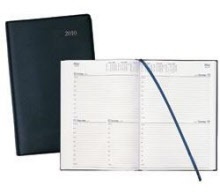 Durable, welded casebound diary with a PVC padded cover for a practical yet professional look.